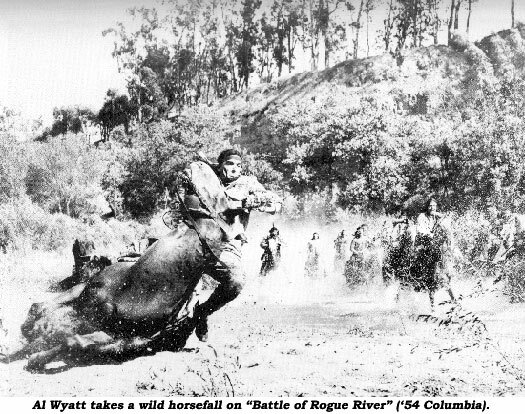 One of my dearest friends and greatest benefactors in the stunt profession was Al Wyatt. 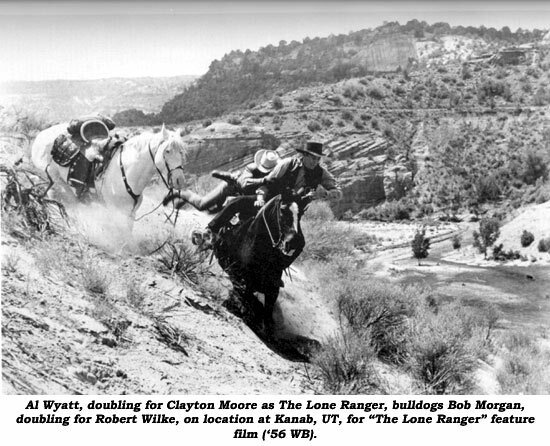 He taught me so much, introduced me to so many people and was one of the first top stunt co-ordinators to hire me for stunt work when he took me to Kanab, UT, for 12 weeks on “Duel At Diablo” starring James Garner and Sidney Poitier. Born in Mayfield, KY, in 1917, after WWII service Al headed for California. 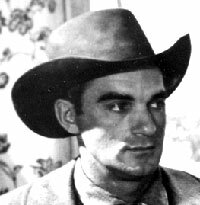 Being an expert horseman he was soon gainfully employed doubling for actor Jon Hall in “Last of the Redmen” (‘47). Because of Al’s 6' 3" frame and great athletic ability he was soon doing stunts for most of the top leading men in Hollywood. Such stars as George Montgomery, Gary Cooper, Rock Hudson and one of his best friends, Jeff Chandler, would not work without Al being part of their contract. 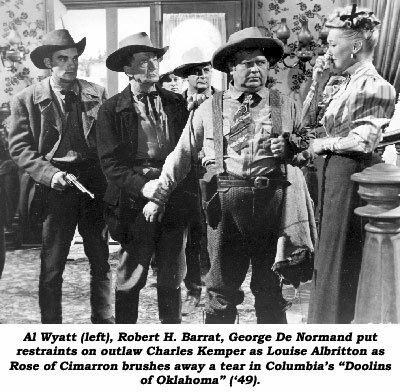 Al was also a good actor and was cast as a heavy in dozens of early TV shows including “Range Rider”, “Gene Autry”, “Boots and Saddles” and “Wyatt Earp”. It was inevitable Al would move up the ladder of success to stunt co-ordinator and second unit director, which he did with ease. His list of credits over his 50 year career is truly astounding with titles like “Silver River”, “Lawless Breed”, “Gun Fury”, “Robber’s Roost”, “7th Cavalry”, “Hangman’s Knot”, “Far Horizons”, “Sitting Bull”, “The Quest”, “Rawhide Trail”, “Shotgun”, “Gun Duel In Durango”, “Bonanza Town”, “Dalton Girls”, “Badman’s Country”, “Whirlwind”, “Guns of Fort Petticoat”, “Jay Hawkers’, “Quick Gun”, “Heaven With a Gun”, “Blazing Saddles” and dozens more, including such TV series as “Cimarron Strip”, “Tales of Wells Fargo”, “Gunsmoke”, “Bonanza” and “Destry”. Besides the aforementioned actors, Al also doubled for Joel McCrea, Randolph Scott, Forrest Tucker, Rod Cameron, Clint Eastwood (for years on “Rawhide”), James Arness, Fred MacMurray, Errol Flynn, Joseph Cotten and James Coburn. As you can see, Al was very much in demand and was seldom unemployed. When TV was worth watching, Al was the overall stunt co-ordinator for all of the Quinn Martin produced series including “Cannon”, “Most Wanted”, “Streets of San Francisco”, “The Runaways” and “Barnaby Jones”. In the late ‘80s Al’s health started to wane and sadly a leg was amputated because of blood clots. On August 12, 1992, Al Wyatt died of cancer at his home in Panorama City, CA. Charles Starrett once simply stated, “He was the best!” Al was awarded the very first Golden Boot Award for Stuntmen and is in the Hollywood Stuntman’s Hall of Fame. A truly amazing stunt career came to an end with Al leaving the scene. I’ll always be indebted to him for putting me on the road to whatever success I’ve achieved in my 50 years in Hollywood. Thanks, Al!